Arthritis means chronic inflammation of the tissues or joints as in rheumatoid arthritis, or a degeneration of the cartilage as in osteoarthritis. Parts affected include the neck, shoulders, back, elbows, wrists, fingers, hips, knees and toes. It is estimated that 8 million people in the UK have arthritis. Although arthritis is more likely to occur in adults later in their life, children can also be affected by this disorder. · Rheumatoid arthritis: It affects muscles and cartilage with symptoms including redness of the skin, pain and swelling. The incidence is higher in women. · Fibromyalgia : it is associated with pain in the muscles, ligaments and tendons of the shoulders and neck and with severe fatigue. Fibromyalgia mostly affects women. · Gout : Uric acid form crystals in the joints thereby causing painful inflammation. · Lupus : Signs of lupus include fever, fatigue, aches, pain in the joints and muscles. It affects young women (see fact sheet on lupus). · Sjogren's syndrome : Symptoms include a dry mouth, difficulty in swallowing and fatigue. · Ankylosis spondylitis : It affects young men and is characterised by the inflammation of the spine which causes pain and stiffness in the back and can lead to deformity of the spine. · Lyme disease : This disorder is spread by the bite of ticks that are infected with a germ. Symptoms include fatigue, headaches, fever and skin rash. · Juvenile chronic arthritis : An inflammatory disease of connective tissue which affects children's knees, elbows, ankles and the neck. · Reactive arthritis : This is a reaction to a disease or bowel infection. Parts involved are the joints of the knees, ankles or toes. · Reiter's syndrome : This is a type of reactive arthritis with similar symptoms which occur in other areas of the body, such as the skin, eyes, and muscles. · Carpal tunnel syndrome : An inflammation of the lining of the carpal tunnel located in the wrist. · Bursitis: An Inflammation of the tissue that surrounds joints and muscles and acts as a cushion. · Infectious Arthritis: an inflammation of a joint resulting from an infection. This form of arthritis is curable. · Scleroderma: Also described as hard skin, this is a disease of the connective tissue, immune system and blood vessels. The skin is taut, hard, discoloured; internal organs may also be affected (see fact sheet on scleroderma). · Osteoporosis : It affects women. Bones get porous, thin and brittle and break easily. believe that the immune system produces antibodies against proteins located in the joints. Researchers at the Stanford University (USA) discovered that a defective gene called "ank" allows minerals to build up in the joints. See below - section on nutrition. · Overuse of a joint due to repetitive and strenuous effort or an injury. A recent study revealed that smokers are more likely to develop a severe form of arthritis than non smokers. The aim of drug treatment is to reduce pain, stiffness and inflammation in the joints. Some drugs can also stop degeneration of the cartilage. This group of drugs is prescribed to relieve pain. Aspirin, paracetamol and ibuprofen can be easily obtained over the counter at a chemist whereas stronger drugs such as codeine require a doctor's prescription. Larger doses of aspirin, ibuprofen and codeine can also reduce the inflammation of tissues (see below). Painkillers are hard on the stomach and if taken regularly they are likely to cause ulcers. Steroids are manufactured versions of the body's natural hormones. They are used in the treatment of rheumatoid arthritis. They have powerful anti-inflammatory and immuno-regulatory properties and can reduce pain, and stiffness. Steroids may be given orally or injected directly into inflamed joints. Side effects: Patients taking corticosteroids must be carefully monitored. These drugs can cause weight gain, diabetes, cataracts, heart problems, insomnia and resistance to infections. Taken over a long-term period, they can cause osteoporosis (see previous page). According to Dr Declan Naughton at the University of Brighton, these side effects can be reduced by combining steroids with vitamin E which enables the drugs to target arthritic joints and not the whole of the body. NSAIDs are the most common drugs prescribed for arthritis. Their effect is relatively fast. They relieve pain and reduce inflammation which is believed to prevent joint destruction. They work by blocking the production of a type of chemical called prostaglandin E2 which is responsible for producing inflammation and pain. Some prostaglandins also protect the stomach and kidney, because their action is inhibited by NSAIDs, gastrointestinal problems (indigestion, ulcers and bleeding), impaired kidney and liver functions may occur. Pregnant women and the elderly should not take NSAIDs. These new drugs were recently introduced because it was found that they work in a similar way to NSAIDs but are safer for the stomach. A study published in the Journal of the American Medical Association in 2000 concluded that compared with NSAIDS, Celecoxib "was associated with a lower incidence of symptomatic ulcers and ulcer complications combined". However the study was funded by the manufacturer of Celecoxib and now researchers from various countries say that the findings were flawed. Used when the previous drugs don't work, DMARDs have the ability to slow down the disease progress before it can cause irreparable joint damage, they are therefore used in rheumatoid arthritis to prevent deformity of the joints. They can also reduce stiffness and swelling. Their action is slow and can take several weeks to several months before positive effects can be seen. Due to their possible toxicity they are usually given in very small doses and patients are constantly monitored. ·Leflunomide: The first DMARD to be approved. These drugs can cause vision disorders. Gold: given orally or by injections. It is toxic in high dosages. D-penicillamine: This drug is usually taken orally. It can suppress the bone marrow and has been known to cause lupus. ·Cytotoxic agents: Cyclosporin A, Cyclophosphamide. Biologic response modifiers are derived from living sources. They work by inhibiting the synthesis of a chemical, tumour necrosis factor (TNF), which is a key player in the inflammation process and tissue damage of rheumatoid arthritis. TNF stimulates the production of prostaglandins E2 (see above). Biologic response modifiers are currently only being used in people who have not responded to other disease-modifying drugs. DMARDs can be associated with respiratory problems (sneezing, coughs, sinusitis, sore throats); skin problems (rashes, mouth ulcers, hair loss, bruising); digestive problems (heartburn, stomach pain, diarrhoea, nausea, vomiting, loss of appetite); blood problems; fatigue; shortness of breath; dizziness; kidney dysfunctions; high/low blood pressure and fever. Viscosupplements given as injections are a new treatment for osteoarthritis of the knee. They replace hyaluronic acid, a natural substance found in the body whose role is to lubricate the joints. Swelling and redness of the skin may occur after the injection. For a complete list of drugs and their side effects visit the internet drug index. These treatments can take place at home or in hospitals. OTs assess their clients and make recommendations to help them deal with daily activities such as washing, dressing, cooking, cleaning, play, transport and education. They give advice on how to use equipment and gadgets which can improve the quality of life. · Exercise, posture and relaxation techniques. · Hydrotherapy sessions - exercise in warm water to ease pain. · Hot treatment (wax baths) or cold treatment (ice packs). · Fixing splint to joints that need to be immobilised to reduce inflammation. · Manipulations to increase flexibility and strengthen muscles. · Advice on using aids such as sticks, crutches or frames, footwear. · Advice on pain relief. Damaged joints and bones can be replaced with artificial ones. These operations are relatively easy to perform although there is always a health risk with anaesthesia. After surgery the patient has to follow a course of physical re-education. Also called total joint replacement, it involves the full or partial removal of a damaged bone or joint tissue, which is replaced with an artificial prosthesis made of metal, ceramic or plastic. This is the most common type of surgery. Most patients regain mobility after the operation. Used in rheumatoid forms of arthritis, it consists of removing the synovial tissue surrounding a joint. This reduces pain and swelling and prevents or slows down the destruction of joints. This surgical procedure can be done with an arthroscope, an instrument the size of a pencil which contains a small lens and light and enables the surgeon to operate on a small incision. Often the synovial tissue grows back. It is carried out when the inflammation is caused by debris from damaged bones. A key hole operation is carried out and a small tube is inserted in the joint to remove the debris. The bone next to a painful joint is cut and then re-fixed in a slightly different position. This operation is used when joints are deformed in the knee or foot, in osteoarthritis. This reduces the bone's pressure on the joint. It involves the permanent fusion of a joint generally in the ankles, wrists, fingers and thumbs. This is done when there is destruction of the joints. As a result mobility can be even further reduced but joints can bear weight better and pain is reduced. This needs to be done when a joint or bone replacement wears out. The lifespan of prosthesis is on average twenty years. In complementary and alternative medicine the patient is treated holistically which means that the patient as a whole (body and mind) is taken into account. In Conventional medicine treatment is targeted to eliminate or reduce the symptoms whereas complementary and alternative therapists don't focus on the symptoms only but aim at treating the root of the problem. Therapists believe that the body has the ability to heal itself. They help restore balance in the body so that it can regulate itself. Complementary and alternative treatments can be used to reduce inflammation and pain and relieve stress which often triggers or worsens the symptoms of arthritis. Therapists believe that in some cases they can slow the degeneration of cartilage and bones. Most doctors disagree with this claim, though some of them accept that alternative forms of treatments can be used as an adjunct to conventional treatment. During the first session the therapist will ask a series of questions about the patient's symptoms, lifestyle and environmental conditions to try to determine causes of the disease. Treatment is individualised because each individual is unique and therefore cannot be treated the same way as other individuals. · Tell your doctor about the treatment you consider following. · Do not discontinue medication. · Tell your doctor about supplements you are taking as they may interfere with conventional drugs. · Choose a therapist who is registered with a national organisation. See our checklist. This is the most well known therapy in Traditional Chinese Medicine (TCM). It follows the principle that disease or physical disharmony is caused when the energy flow or "chi" is obstructed. There are twelve meridians in the body and each one is associated with a specific organ. Acupuncturists endeavour to rebalance the vital force so that it can circulate freely through the meridians. Very fine sterilised needles are inserted through the skin at specific points of the body. They are usually left for a short while which is believed to cause little discomfort. By slightly manipulating or twirling the needles, the therapist can either draw the energy to the meridians or away from them. It is common to insert needles at a considerable distance from the point on which they are to act and similarly successive points on a specific meridian may affect different areas or conditions. Acupuncture will not cure arthritis or restore damage; however there is growing evidence that acupuncture has analgesic and anaesthetic properties. It has been hypothesised that the stimulation of acupoints has a direct effect on nerves by blocking the message sent by the nerves to brain. It is also believed that "needling" the acupuncture points stimulates the nervous system to release chemicals such as endorphins (natural chemicals in the body). The effectiveness of acupuncture as a treatment to reduce pain in osteoarthritis is well documented. - Haslam R Acupunct Med 2001 Jun;19(1):19-26. A comparison of acupuncture with advice and exercises on the symptomatic treatment of osteoarthritis of the hip--a randomised controlled trial. This therapy is also part of Traditional Chinese Medicine and is often described as "acupuncture without needles". Like its sister therapy, it is based on theories of life energy and meridians but it is perceived as less invasive since pressure is applied instead of using needles. The practitioner stimulates "acupoints" using the fingers, thumbs and even feet and knees to apply pressure for a period of three to ten seconds. There are several forms of acupressure which focus on different acupoints depending on whether the "Tuina", "Shen Tao", "Jin Shin Do" or "Anma" technique is used. Some acupuncturists may also integrate acupressure in their treatment. Acupressure is believed to be beneficial in the treatment of musculoskeletal problems. Shiatsu means "finger pressure" in Japanese. The therapeutic affects of massage were rediscovered in the early 20th century and developed into shiatsu by combining traditional techniques with a knowledge of physiognomy and anatomy derived from Western medicine. It is similar to acupressure, although an acupressure therapist will concentrate on a specific area during a session, whereas a shiatsu practitioner will cover the whole body. Following the principles of energy and meridians in acupressure and acupuncture, pressure is applied in a combination of massage techniques to influence and stimulate the energy flow in the body, also known as Ki in Japanese. When Ki becomes blocked, overactive or depleted illness results (not necessarily at the site of the Ki disturbance, but along the affected meridian). This is remedied by stimulation of tsubos - external points on the body - either by gentle massage or with more vigorous pressure from the knees, elbows or feet; the limbs may also be moved into positions that stretch the meridians. For a shiatsu session, loose clothing should be worn. The patient lies on a futon on the floor, and the practitioner kneels beside them. Before treating the patient, the practitioner will ask about their client's medical history, lifestyle and emotional state; observe their physical appearance and posture; listen to their voice; and touch them to read their pulse. The final diagnostic tool is the hara, which involves gently feeling the abdomen to assess the energy-flow in the internal organs. Flu-like symptoms for a couple of days are said to indicate that the body is expelling toxins released by the treatment. This therapy involves diagnosing structural and mechanical distortions in the body. Osteopathy's principle states that the body has a natural tendency to strive toward a state of health and homeostasis, which means the body has intrinsic mechanisms to heal itself. Osteopaths are trained to feel the body's "living anatomy" (i.e. flow of fluids, motion and texture of tissues, and structural makeup). They believe that if the bones, joints and muscles are not correctly aligned, this will affect their mobility and the tissues of the body will not function properly. X-rays are sometimes used to detect problems and the techniques used are: manipulation, stretching, mobilisation and soft tissue massage. When working with children, osteopaths use functional techniques, which involve very gentle manipulations. Osteopathy can ease pressure on joints and improve blood supply to the joints. Cranial osteopathy was developed as an extension to the osteopathic approach, it is a popular form of therapy for children as it is very gentle and non-invasive. Unlike most physicians, cranial osteopaths believe that the skull is not a rigid structure, its bones move in a rhythmic manner throughout life. They focus on the pulsing of the fluid which nourishes and protects the membranes surrounding the brain, spinal cord and sacrum. The name given to this pulsing is Cranial Rhythm impulse (CRI) or Primary Respiratory or Involuntary Mechanism. It is a movement of expansion and contraction of all the tissues of the body. Cranial osteopaths believe that any disturbances in the flow of this fluid will reflect pressures on the cranial bones or injuries or tensions in the body. Cranial osteopathy is a non-invasive therapy. Practitioners use light touch to assess the quality of the patients' Cranial Rhythm and compare it to what they consider to be a normal rhythm, they can then judge the state of the patient's body and how well it is functioning. During a session the practitioner will delicately manipulate the cranial and spinal bones in order to restore the cranial rhythm, boost blood circulation and drain lymph and sinus fluids in the head. While the practitioner holds the appropriate bones and gently manipulates tissues, the patient is asked to concentrate on releasing tension and breathing. Chiropractic, which means "done by hand", is very similar to osteopathy: it is based on the theory that the state of the nervous system in a person affects their health; the key element of the body structure is the spine, it is the link that carries nerves to the whole body, the vertebrae encase the tail of the brain which has an effect on the main bodily functions such as digestion, blood flow, heartbeat, the immune system and breathing. When there is nerve interference caused by spinal subluxations (misaligned vertebrae), there is "dis-ease". Through manipulations the chiropractor can realign the vertebrae and thereby release the pressure on joints especially the spine and nerves. Chiropractic is thought to have a positive action on neuromusculoskeletal disorders, it can increase joint flexibility and prevent further degeneration. There are two schools of chiropractors in the UK: McTimoney practitioners and regular chiropractors. The former focus on the whole body during the session in the belief that the complete realignment is necessary each time, they also emphasise self-help and teach patients a set of exercises to do at home; the latter concentrate on specific areas. Frederick Mathias Alexander believed that individuals create unnecessary tension in their body because of bad posture acquired during childhood. Tension can reduce mobility and eventually cause illness. The Alexander technique is usually taught on a one-to-one basis. The therapist or teacher makes their patients aware of what optimum posture feels like before beginning to make adjustments and re-educating them in the use of their muscles. The goal is to produce maximum efficiency with minimum effort. Practitioners focus on the use of the body such as sitting, standing or walking. They guide their clients through a series of gentle movements, which involve a lengthening and widening of the body. Once the technique has been mastered it can be used at home. The session is restful, at the end of the treatment movements are easier and the bodies are more aligned. The Alexander technique is claimed to relieve pain. Rolfing, also called "structural integration", is a form of bodywork. Daily disturbances such as stress, injuries, bad postures or emotional disturbances cause the body to be out of alignment with gravity which can result in chronic pain, psychological and physiological impairments. Individuals have to subconsciously compensate and cope with these limitations by breathing or moving less easily. Therapists use manipulation techniques and movement education. Rolfing differs from traditional massage (see below) in that it does not focus on the muscles but on the connective tissue which forms their protective layer. This net of fine, elastic tissues, also called fascia, surrounds the muscles, bones and organs and connects all other tissues together. If the body is in disharmony with gravity the fascia becomes shorter, it hardens and loses pliability so that movement gradually becomes restricted. The therapy consists of 10 sessions of 1 hour each. During a session therapists evaluate their client's posture by looking at them, sometimes they also take photos in order to assess any improvement. The client lies on a padded table, the therapist applies firm pressure with his/her knuckles, elbows and fingers. Rolfers believe that manipulating the tissues will lengthen and reposition the fascia which will soften the muscles and remould them. Therapists work on a different part of the body during each session, they also teach their client to be aware of their usual posture and any tension in their body as well as their breathing and energy levels. Massage is a hands-on technique used to stimulate the body through the skin, the body's largest sensory organ. Massage boosts the circulatory and immune systems and is part of many health systems. Different techniques are practised and integrated into complementary therapies (see aromatherapy and reflexology). Gentle massage can trigger the release of endorphins, the body's own painkillers, and induce feelings of comfort and well-being. Stronger massage may help to stretch uncomfortable muscles and ease stiff joints, improving mobility and flexibility. Massage has been proved to help relieve pain and tension and improve muscles tone. It increases the blood flow and consequently the drainage of toxins. - Fiechtner JJ, Brodeur RR. Manual and manipulation techniques for rheumatic disease. Med Clin North Am 2002 Jan;86(1):91-103. "Manual techniques are beneficial for back and neck pain when compared with no treatment or "placebo." Aromatherapy combines healing massage with oils that have the medicinal properties of plants. Essential oils, extracted from the roots, flowers, fruits, leaves and stalks of plants and certain trees, are absorbed in the body through the skin. Trained aromatherapists use high-quality, natural oils diluted in a "'carrier" oil or blended into a cream. Aromatherapy massage techniques are based on Swedish massage which aims to release tension in the body and to improve circulation and stimulate the lymphatic system to assist removal of metabolic wastes from the body. Some essential oils are believed to be uplifting while others have a relaxing and calming effect. They also have analgesic (anti pain), anti - inflammation, antiseptic and antibacterial properties. At home essential oils can be diluted in a vegetable carrier and used in a bath, or used in hot or cold compresses. Light bulbs, candle lit or electric diffusers can also release vapours of oils. Clinical research into essential oils in the treatment of medical conditions is limited. It is not well understood how the oil molecules actually enter the bloodstream, but the psychological effects have been well studied. Essential oils should not be used neat on the skin or applied near the eyes. The following oils should not be used by pregnant women: German camomile, clary sage, rosemary, basil, peppermint, cedarwood, cypress, juniper, hyssop, myrrh, nutmeg, origanum, fennel, pennyroyal, marjoram, cinnamon, and clove. Rosemary, hyssop, sweet fennel, sage and wormwood should also be avoided by epileptics while peppermint and thyme must not be given to small children. Peppermint and chamomile block the therapeutic effects of homeopathy; these oils should be used at least half an hour before taking homeopathy. Reflexology is based on the theory that the feet and hands are mirrors of the body and that pressure applied to specific points can be used to treat the corresponding areas of the body. The whole foot, or less often hand, is massaged so that the whole body is treated; the practitioner will stimulate reflex points watching for any reaction of pain or tenderness as evidence of an imbalance in the corresponding area of the body. The theory of reflexology is based on 'zones' i.e. that zones of the left side of the body correspond to reflex points on the left foot and hand and those on the right side of the body to the right hand or foot. Reflexology maps have been developed to chart the pressure points that correspond to particular parts of the body. Practitioners believe that accumulations of waste matter concentrate around reflex points, in the form of uric acid and calcium crystals. Massage aims to break these down in order to release 'energy flow' along the zones, open blocked nerve pathways and improve circulation to flush away 'toxins'. Most sessions last 45-60 minutes. Initially the practitioner will work on the whole foot (body), not just the part affected by a specific ailment, since this is a holistic therapy, and any underlying causes must be identified. Any pain or tenderness experienced as the reflex points are stimulated indicates the presence of crystalline deposits, and therefore an imbalance in the corresponding area of the body. These areas will be massaged gently but firmly to clear the energy channels. Possible after-effects of reflexology include feeling nauseous, tired or emotional for a couple of days after treatment; a need to urinate more often may also be noticed. It is also possible that existing symptoms may worsen before improving, or else a rash, cough or mild flu-like symptoms may develop; this is known as a 'healing crisis', and is said to indicate that the body is beginning to eliminate toxins. Reflexology is used to control pain in arthritis but it may not be suitable for people with osteoporosis. According to herbalists the body heals itself - herbs are prescribed not to artificially introduce an action into the system, as is the case with conventional medicine, but rather to restore balance in the body. Herbal synergy' is important - this is the idea that the different natural chemicals that are found in a single plant all work together in the body. It is thought to explain why the chemicals, when extracted and used in isolation may have side effects, which do not occur if the whole plant is taken. Before a herb, or most often a combination of herbs, can be prescribed the practitioner will first assess the condition of the patient. It is particularly important to ascertain whether the patient's body is predominantly hot or cold, as indicated by blood heat. Heat is symptomatic of over-activity in the functions of organs, and coldness, under-activity. It is also important to learn whether the body is damp (as indicated by clamminess and urine flow) or dry. The petals, seeds, leaves, flowers, roots, berries and internal gel of plants are all used medicinally - the different parts of the same plant can have quite different properties, so it is important that the correct part is selected for your needs. They tend to be dried, but may also be used fresh. - tough parts of the plant are boiled in water; the liquid containing the active ingredients is then strained. - the herb is soaked in alcohol and water for two weeks, then strained in a muslin-lined wine press. - the herbs are covered with very hot water and left to steep for ten minutes. The resulting liquid is much like a tea, and may be sweetened with honey. - used for massage, these oils may be made by placing the herbs and oil over heat, or they may just be left in sunlight. - oil, water, glycerine and herbs are simmered for several hours, before being strained and left to set. - oil and herbs are combined over heat, then strained and left to set. These are particularly useful for when the skin needs to be protected from moisture. - Boswellia: Researchers discovered that Boswellia improves blood supply to the joints, maintains the integrity of blood vessels and is an anti-inflammatory as effective as NSAIDs with fewer side effects. - Bromelain: This plant helps inhibit pro-inflammatory compounds which reduces pain and swelling. - Yucca: This plant used by generations of Native Americans contains saponins which increase the production of natural cortisone. - Stinging nettle: A study showed that nettles can be effective in the treatment of osteoarthritis (Randall C, Randall H, Dobbs F, Hutton C, Sanders H. Randomized controlled trial of nettle sting for treatment of base-of-thumb pain. J R Soc Med 2000 Jun;93(6):305-9). Well-prescribed and well-prepared herbal remedies are usually free from unpleasant side-effects, after-effects and allergic reactions. However, excessive intake of beneficial herbal remedies can be toxic. If you are taking any conventional medicines, seek advice from a herbalist to avoid herb/drug interactions. Many herbal preparations are available over-the-counter from health food shops and pharmacies. It is important to choose good suppliers, and to follow the instructions on the label. The differences between the two therapies stem from the fact that Chinese herbalism is just one aspect of Chinese Traditional Medicine - an ancient and complex system of healing, based on the concept of Qi (chi), which consists of the two opposing forces, yin and yang. Emotional turmoil, accidents, infection, poor diet and pollution may disturb yin and yang balance. In addition, each of the organs is associated with a particular element, taste, emotion and season. The practitioner understands that to treat a condition affecting a certain organ, herbs with a particular taste will be most effective. Equally, certain conditions are diagnosed as being 'hot'/'cool' or 'dry'/'damp', and must be treated with herbs with the opposite quality. - Green Tea: Antioxidants in green tea may prevent Rheumatoid Arthritis (Adcocks C, Collin P, Buttle DJ. J.Nutr 2002 Mar;132(3):341-6) - Ginger (Zingiber officinale): Gingerol, one of the compounds of ginger has a structure similar to aspirin. (Altman RD, Marcussen KC. Effects of a ginger extract on knee pain in patients with osteoarthritis. Arthritis Rheum 2001 Nov;44(11):2531-8. " A highly purified and standardized ginger extract had a statistically significant effect on reducing symptoms of OA of the knee." - Herba siegesbeckiae: Qian R, Zhang C, Fu H. Study on therapeutic mechanism of anti-rheumatism action of herba siegesbeckiae. "Through regulating the immune function of organism, AFHS could improve the local pathologic response so as to antagonise against rheumatism, therefore, it is a good anti-rheumatism herbal medicine." If the quality and purity of the herbs, and the skill of the practitioner are assured, adverse reactions are rare. Not all herbs suppliers in the UK are regulated. Possible problems with low quality herbs include: they may not be what they claim to be; they may be contaminated - intentionally or unintentionally - with toxic substances (such as lead, arsenic, mercury, or conventional drugs, such as corticosteroids or paracetamol). Buying herbs from the Internet is not advised. Traditional Indian medicine is based on the Ayurvedic system. The principle behind it is similar to that of Chinese MedicinThe; both systems view the body as a microcosm of the universe, and believe that good health is achieved by the balancing of energies. The life force, (equivalent to the Chinese chi) is called ojas. According to this theory, we are composed of five basic elements - fire, water, earth, air and ether - which are converted by agni, the digestive fire, into three humours (doshas) which influence our health and temperament. For instance, a person whose dominant humour is vata is likely to be creative, alert and restless; when unbalanced they become tired, constipated, and underweight. Pitta individuals when out of balance may have conditions such as hyperacidity, peptic ulcers or other inflammatory diseases, including skin diseases. Kapha imbalance is associated with obesity, hypertension, and high cholesterol. Detoxification is one of the main aims of ayurveda. Treatments include massage, to improve the circulation, yoga, meditation, dietary advice and medicinal remedies (prepared from plant, mineral, animal and metal substances). - Thabrew MI, Senaratna L, Samarawickrema N, Munasinghe C. Antioxidant potential of two polyherbal. preparations used in Ayurveda for the treatment of rheumatoid arthritis. J Ethnopharmacol 2001 Aug;76(3):285-91. - Chopra A. Ayurvedic medicine and arthritis. Rheum Dis Clin North Am 2000 Feb;26(1):133-44 "The Ayurvedic pathogenesis links arthritis to the gut. Management chiefly consists of diet and lifestyle changes, the panchkarma process, and herbal drugs." 2 The principle of infinitesimal dose: Homeopathy works the opposite way of conventional medicine where a minimum dose is required for effect. The more a remedy is diluted the more potent it becomes, the more specific its effects are and the longer they last. It is believed that homeopathic remedies are diluted to such a degree that no atom of the original substance is left in the final remedy, how the remedies work is not well understood but homeopaths claim that continued dilution and shaking or "succussion" can imprint the electromagnetic signal of a substance in the water. 3 The principle of specificity of the individual: The treatments are individualised: each individual has a symptom profile and it is likely that two individuals with the same condition will be given different medicines. Practitioners look at the whole person not just the condition. They will ask a series of questions about the medical history, moods, likes and dislikes, diet, chronic disorders or traumas of the patient in order to draw a list of symptoms; they pay special attention to unusual symptoms. 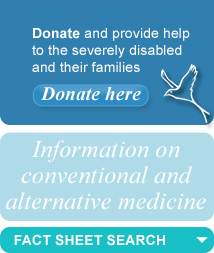 There are over 2000 homeopathic remedies. They are made from plants, minerals, metals or animals. Their Latin name indicates the substance they were created from. The remedies are extremely pure, they come in the form of lactose tablets, powder, granules, or as a liquid. Parts of the original substance are dissolved in alcohol to create the mother tincture (MT). This liquid is shaken ("succussed") several times. Remedies should be taken at least half an hour before or after taking food or drink. Avoid strong-tasting substances such as peppermint (toothpaste that doesn't contain mint is available at health food stores), eucalyptus, camomile, camphor, coffee and tobacco. Granules or tablets should be dissolved under the tongue for best results and it is advised not to touch them with fingers otherwise they will lose their properties. · Apis mellifica (burning pain, aggravated by heat, improved by cold). · Arnica (feeling of bruising and soreness, worse when being moved or touched). · Aurum matallicum (improvement with motion and heat, worse at night). · Berberis vulgaris (aggravation with motion). · Bryonia (aggravation with motion, and in cold dry weather, tissues are painful when touched). · Calcarea phosphorica (aggravation in snowy weather). · Causticum (improvement in rainy weather. Associated with stiffness). · Dulcamara (chronic stiffness in the muscles, symptoms are worse in damp and wet weather). · Kalium iodatum (aggravation at night). · Ledum palustre (aggravation in cold weather, symptoms start in lower joints). · Nux vomica (worse in cold weather and with draft, associated with cramps). · Rhododendron (aggravation with change of weather, improvement after eating). · Rhus tox . (aggravation of symptoms in the morning and after physical exhaustion. Improvement with heat or motion). - Fisher P, Scott DL. A randomized controlled trial of homeopathy in rheumatoid arthritis. Rheumatology (Oxford) 2001 Sep;40(9):1052-5 " We found no evidence that active homeopathy improves the symptoms of RA, over 3 months, in patients attending a routine clinic who are stabilized on NSAIDs or DMARDs." - Long L, Ernst E. Homeopathic remedies for the treatment of osteoarthritis: a systematic review. Br Homeopath J 2001 Jan;90(1):37-43 " The authors conclude that the small number of randomised clinical trials conducted to date, although favouring homeopathic treatment, do not allow a firm conclusion as to the effectiveness of homeopathic remedies in the treatment of patients with osteoarthritis. The clinical evidence appears promising, however, and more research into this area seems warranted." - Van Haselen RA, Fisher PA. A randomized controlled trial comparing topical piroxicam gel with a homeopathic gel in osteoarthritis of the knee. Rheumatology (Oxford) 2000 Jul;39(7):714-9 " The homeopathic gel was at least as effective and as well tolerated as the NSAID gel. …. The homeopathic gel supplemented by simple analgesics if required may provide a useful treatment option for patients with osteoarthritis." Nutritionists believe that eating the wrong food can trigger arthritis symptoms. However some foods can be used for their healing properties. - Meat, alcohol, salt, sugar and other acidic and high fat foods can cause inflammation and weight gain. - Dairy products, gluten, eggs, preservatives and other foods to which individuals are sensitive. Some researchers believe that food sensitivities can aggravate arthritis. (Hafstrom I, Ringertz B, Spangberg A. A vegan diet free of gluten improves the signs and symptoms of rheumatoid arthritis: the effects on arthritis correlate with a reduction in antibodies to food antigens. Rheumatology (Oxford) 2001 Oct;40). See also our fact sheet on gluten/casein allergies. - The nightshade family vegetables such as courgettes, peppers, potatoes, tomatoes and chilli contain solanine, a chemical which can be toxic in high concentrations and can cause stiffness in the morning. - Nuts, seeds, flax seeds, cold-water fish and deep-ocean fish (mackerel, herring, halibut, salmon and sardines) because they contain high levels of essential fatty acids (see below). - Green lipped mussel (Perna canaliculu): A shellfish found in New Zealand which has anti-inflammatory properties (Halpern GM. Anti-inflammatory effects of a stabilized lipid extract of Perna canaliculus (Lyprinol). Allerg Immunol (Paris) 2000 Sep;32(7):272-8). - Onions, Brussels sprouts, carrots, leeks and cabbage contain sulphur which is said to regenerate cartilage cells. Sulphur is found to be low in people with arthritis. Onions also contain Quercitin (see below). - Apples, strawberries and cherries contain active enzymes that dissolve inorganic deposits of calcium in the joints. - Pineapples contain bromelain, an enzyme that reduces inflammation. A bioflavonoid and natural compound found in red onions. Bioflavonoids bind and strengthen cartilage structure. It promotes muscle and nerve action, it is essential for bone and teeth formation and generally for the growth and repair of body cells. (See fact sheet on magnesium). It is an industrial solvent. The use of DMSO is controversial. It has the approval of the Food and Drug Administration in America only for the treatment of a rare bladder condition called interstitial cystitis. Murav'ev Iu and Venikova have reported positive effects of DMSO on the degeneration of joints (Patol Fiziol Eksp Ter 1991 Mar-Apr;(2):37-9). · SamE (S-adenosylmethionine): This natural substance found in our bodies is essential in the formation and repair of cells. These trace minerals play an important role in the formation of bones, cartilage and connective tissues such as ligaments, tendons and muscle. Zinc and boron are deficient in those with arthritis. DHEA is a steroid hormone secreted by the adrenal glands. Research shows that lupus and rheumatoid arthritis might be associated with declining DHEA levels. (DHEA. Monograph. Altern Med Rev 2001 Jun;6(3):314-8). It strengthens connective tissues (Milanino R, Marrella M, Crivellente F, Benoni G, Cuzzolin L. Nutritional supplementation with copper in the rat. I. Effects on adjuvant arthritis development and on some in vivo- and ex vivo-markers of blood neutrophils. Inflamm Res 2000 May;49(5):214-23). The following supplements have anti inflammatory properties. They are available at health food stores. It is found in nerves and connective tissues, skin, hair and joints but levels decline with age and cooking. MSM is said to increase the permeability tissues thus decreasing the accumulation of toxic build-up in the joints. One of the active ingredients found in the seed of this plant is gamma linolenic acid (GLA), an essential fatty acid which is broken down and converted into anti-inflammatory prostaglandins (See fact sheet on evening primrose oil). Results of clinical studies are encouraging (Belch JJ, Hill A. Evening primrose oil and borage oil in rheumatologic conditions. Am J Clin Nutr 2000 Jan;71(1 Suppl):352S-6S). Also called ubiquinone, it is a naturally occurring substance. CoQ10 increases tissue oxygenation which helps repair damaged tissues. These vitamins and minerals are essential for growth and repair of tissues, bone formation. Vitamin C also promotes the formation of collagen. Arthritic patients have low levels of selenium. - Helmy M, Shohayeb M, Helmy MH, el-Bassiouni EA. Antioxidants as adjuvant therapy in rheumatoid disease. A preliminary study Arzneimittelforschung 2001;51(4):293-8 "The clinical improvement and the shift in the disease indices towards normal make the use of antioxidants as adjuvant therapy in rheumatoid disease worth pursuing". - Rosenstein ED, Caldwell JR. Trace elements in the treatment of rheumatic conditions. Rheum Dis Clin North Am 1999 Nov;25(4):929-35, viii. "Deficiencies of several of these have been documented in patients with rheumatoid arthritis ". - Filiberti R, Giacosa A, Brignoli O. High-risk subjects for vitamin deficiency: Eur J Cancer Prev 1997 Mar;6 Suppl 1:S37-42 "Chronic deficiency of various vitamins can influence the occurrence of some chronic degenerative diseases such as cancer, cardiovascular pathology, cataract, arthritis, disorders of the nervous system and photosensitivity". Naturopathy is based on the principle of homeostasis - that the body can heal itself and will always strive towards good health; its guiding principles can be traced back to Hippocrates, over 2,000 years ago. It has been described as the Western equivalent to Ayurveda and Traditional Chinese Medicine - a total philosophy of health and life, rather than a cure for specific symptoms. The naturopath believes in the healing power of natural resources. Treatment is aimed at improving the patients' "vital force" which helps the body fight off disease. Naturopaths take a preventative and holistic approach and look for underlying causes of the presenting symptoms, believing that fevers and inflammation signify a weakening of the vital force, and the body's fight against intrusion. As such, they are not to be suppressed, unless dangerous, as this could lead to further degeneration. Practitioners look at the patient's "Triad of Health", (their emotional well-being, their musculo-skeletal structure and their internal biochemistry), and then prescribe a range of therapies designed to improve circulation and digestion, increase the elimination of waste products and boost the immune system. These will vary according to the practitioner and may include fasting, exercise, diet and supplementation, herbal medicine, homeopathy hydrotherapy, physical therapies, life-style modification, counselling and touch therapies. Many of the principles of naturopathy underpin conventional medical thought today and there is a lot of agreement about the importance of a wholefood diet low in fat and salt and high in fibre and antioxidants. At the first consultation, the practitioner will examine the patient thoroughly, both through asking questions about their health and lifestyle and by carrying out conventional and less conventional physical tests, such as: blood pressure, reflexes, blood/urine sample, iris examination, sweat/hair analysis, muscles tests, posture. The principal cause for concern about naturopathy is the fasting element; naturopaths claim that fasting helps flush toxins out of the liver, however there is the view that the liver is in fact flooded by toxins produced as a result of starving the body. No fast or restricted diet should be followed without the advice of a qualified naturopath. Immersion baths - these involve immersing the body, or some part of it (eg arm/feet) in a tub of water, which may be warm, cold or 'rising temperature' (hot water is added until it reaches 103-4°C). A 'sitz bath' is a hipbath. Aromatherapy oils or medicinal herbs may be added to the water. Wraps - these are mainly used for treating a fever and a local inflammation. An example of treatment using wraps is hot fomentation: the patient lies in their undergarments on a bed and several blankets, which are wrapped around the body, leaving just the chest free. The person's feet are placed in a hot foot-bath just off the end of the bed. Two hot damp towels are placed on their chest, and a cold cloth on the forehead. The blankets are then wrapped completely around the patient, for three minutes, when the process is repeated. The whole body is then rubbed with the cold cloth, and the whole process repeated two more times. Magnets can be placed on the lymph nodes or meridians following the theory of acupuncture or on specific areas of the body which need healing. The length of the treatment varies from a few minutes to several hours. It is difficult to find some scientific explanation on how magnets work because of a lack of research studies and all claims can therefore only be hypothesised. The main therapeutic benefit of magnet therapy seems to be an increase of oxygen in the blood. Under the action of magnets cells are revived and regenerated, the body can better absorb nutrients and heal itself. Magnets are said to increase the blood flow, which has an effect on the lymphatic system as they carry waste away, they help flush lactic acid that builds up and thus help ease pain and inflammation. It is possible to buy all kinds of magnets from commercial companies, popular products are: magnetic beds, mattresses, blankets, insoles and pillows. The main element to take into account when choosing a magnet is its "gauss" (the unit of measurement): it is suggested that a high gauss will have greater effects. It is recommended to consult a therapist to ensure magnets are used properly. Apitherapy (apis means bee in Latin) is the medical use of bee products such as honey, pollen, royal jelly, propolis and bee venom. Bee venom has been reported to be useful in rheumatoid and osteoarthritis, scleroderma. It is believed to reduce swelling and pain thanks to its many active chemical compounds such as mettilin, adopalin and hyaluronidase. Mettilin stimulates the adrenal glands to produce cortisol, a natural anti-inflammatory; adopalin has analgesic effects and the enzyme Hyaluronidase helps tissue permeability. There are different ways of administering bee venom. The most effective form consists of holding a live bee over an area of the body which it then naturally stung by the bee. The venom can also be collected and injected under the skin or mixed with other ingredients in a cream or ointment. On average two or three stings a session repeated over a period of three months are necessary. It is important to check the suitability of this therapy with a doctor. Some individuals can be allergic to the venom and experience reactions such as redness or swelling of the skin or in more severe cases an anaphylactic reaction, which is characterised by shortness of breath and loss of consciousness and may cause death. - Kwon YB, Kang MS, Kim HW, Ham TW. Antinociceptive effects of bee venom acupuncture (apipuncture) in rodent animal models: a comparative study of acupoint versus non-acupoint stimulation. Acupunct Electrother Res 2001;26(1-2):59-68. "These results indicate that BV injection directly into an acupoint can produce a potent antinociceptive effect and suggest that this alternative form of acupoint stimulation (Apipuncture) may be a promising method for the relief of pain." - Kwon YB, Lee JD, Lee HJ, Han HJ, Bee venom injection into an acupuncture point reduces arthritis associated edema and nociceptive responses. Pain 2001 Feb 15;90(3):271-80 - Chang YH, Bliven ML. Anti-arthritic effect of bee venom. Agents Actions 1979 Jun;9(2):205-11 ". These results suggest that at least two mechanisms are involved in the anti-arthritic action of bee venom: (1) alteration of the immune response, probably via antigen competition, and (2) an anti-inflammatory action via corticosteroids or through an as yet undetermined mechanism." Bee venom therapy is more common in America than in the UK. This company sells bee products. Stress has been shown to play an important role in arthritis; it can act as a trigger and create tension in the tissues around the joints. The therapies indicated below can reduce stress as well as relieve pain and other symptoms associated with arthritis such as anxiety, depression and fatigue. - Yocum DE, Castro WL, Cornett M. Exercise, education, and behavioral modification as alternative therapy for pain and stress in rheumatic disease. Rheum Dis Clin North Am 2000 Feb;26(1):145-59, x-x "The link between stress and neuroendoimmune function suggests that alternative therapies focusing on improved psychologic and metabolic function could significantly change patients' pain outcomes." Hypnotherapy is one of the complementary therapies which is most respected by conventional medicine, and it has the largest body of supporting scientific evidence. The nature of the hypnotic trance is not as mysterious as some people think. It is a state that most of us naturally drift in and out of during the course of a day: when we become engrossed in a task or a film, when we drive home on 'automatic pilot', when daydreaming. During these moments, our conscious (critical, ethical, judgmental) mind is still active, but by-passed, so that the unconscious mind, which stores every event and corresponding emotion and is very receptive to suggestion, becomes more active. The conscious mind has been likened to the tip of an iceberg, (with the unconscious underneath the surface, much larger, and very powerful), and to the ram power on a computer (which is only a fraction of the hard drive's capacity). Although the word derives from the Greek hypnos - 'sleep', the hypnotic state is quite different from sleep, and the patient will almost certainly remember the whole experience. The hypnotist encourages the patient to enter the trance-state, more or less deeply. The patients cannot be encouraged to do anything they don't want to, as they are still in control and their conscious mind is protecting you from unreasonable suggestions. Hypnotherapy itself can take several different forms. The most usual form is 'suggestion hypnotherapy', which aims to break patterns of thought and behaviour by means of positive suggestions and imagery. Pain can also be managed in a similar way. Initially the therapist will ask about the patient's physical and mental health, likes and dislikes and motivation to resolve any problem. When the patient is ready to enter the hypnotic trance, the therapist will make them relax by asking them to visualise a place or scene, or a counting method may be used. Depending on the problem, the therapist may proceed straight to implanting positive suggestions, or some analytic discussion may take place. Meditation is a form of mental discipline intended to induce a state of profound relaxation, inner harmony and increased awareness. Forms of meditation are used in all of the world's religions, however there is no need to adhere to a particular belief system in order to benefit from the practice. When monitored by an electroencephalograph (EEG), the alpha waves of an individual in a meditative state are of a higher intensity than those produced when the same individual is sleeping. This indicates the level of relaxation attained through meditation is more profound than that achieved by sleep. Individuals are encouraged to let their thoughts pass by and not try to stop them. When attention starts to wander, which it naturally does, it may be gently brought back. Mindfulness meditation (also known as Vipassana meditation) cultivates a nonjudgmental awareness of the present moment. You start with a one-pointed focus (such as your breath) and then expand the field to include thoughts, emotions and sensations in your body. This approach is taught in many stress reduction programs. 'Autogenic' means generated from within. The therapy is a form of deep relaxation, comparable to meditation, whereby a state of physical and mental rest is induced by autosuggestion (the silent repetition of a sequence of statements, typically: 'I am quiet and relaxed… my right arm feels comfortable and heavy and relaxed…' - continuing around the body). The 'fight or flight' response to a perceived threat, which includes increased heartbeat, adrenaline secretion, decreased gastric movement and dilated pupils can sometimes be sustained in modern life for prolonged periods of stress; autogenic therapy is a way of switching off this mechanism, which brings both psychological and physical benefits. In the autogenic state, natural self-regulatory systems are able to function well, leading to balance between the left and right brain hemispheres, and supporting the immune system. It is preferable to have some initial training to master the technique. There is no right or wrong way to apply the method, however, occasionally the therapy brings to the surface emotions and memories that have been suppressed, and the therapist is trained to help you deal with this, as well as help you make the most of the overall experience. The training courses typically consist of 8 to 10 weekly sessions, alone or in a group, which last 90 minutes. The exercises should then be practised for about 10 minutes, several times a day. Autogenic therapy is practised either sitting in a chair or lying down; once mastered, it may be done in almost any environment. Autogenic training may not be recommended for those suffering from diabetes, hypoglycaemia or heart conditions. Consult your doctor first. The word 'yoga' derives from the Sanskrit word meaning 'union' In the West, Hatha yoga (and its variation Iyengar yoga) is the most popular form; this aims to co-ordinate body, breath and mental focus, and is thought to release tension, detoxify the blood, increase oxygen absorption and improve respiration and hormonal circulation, as well as improving suppleness, stamina and strength. In addition, a form of yoga has been developed since the early 1920s to help people suffering from serious health problems - this is known as Yoga Therapy; it is a marriage of traditional yoga with modern medical knowledge. Yoga can be used as a preventive tool. For those with arthritis, yoga can gently improve their muscle tone, posture and mobility. When doing an asana, individuals focus on the mind and the body which is said to reduce tension and pain. It is recommended that arthritis patients should join a gentle yoga class. Yoga Therapists do not diagnose medical conditions - they aim to promote the body's natural healing processes and help alleviate certain diseases or symptoms. The therapy retains the fundamental benefits of yoga, but the movements and breathing techniques are tailored to resolving specific health problems. - Dash and Telles reported an improvement in hand grip strength in normal volunteers and rheumatoid arthritis patients following yoga training. (Indian J Physiol Pharmacol 2001 Jul;45(3):355-60). - Garfinkel and Schumacher found that Yoga in osteoarthritis of the hands and carpal tunnel showed great improvement in pain. (Rheum Dis Clin North Am 2000 Feb;26(1):125-32). Certain asanas may not be suitable for people with neck or back injuries, high blood pressure, circulatory problems, heart disease, or disorders of the brain, eyes or ears. Ensure that a Hatha teacher is a member of the British Wheel of Yoga or the Iyengar Yoga Institute. Yoga Therapists should be members of the Yoga Biomedical Trust. Produces a guide to medicines and complementary therapies entitled: The Balanced Approach. Arthritis Care , the Lady Hoare Trust and the Children's' Chronic Arthritis Association have joined to form CHAT (Children Have Arthritis Too)Alliance, they have produced a booklet to inform parents of children with arthritis about issues such as treatment, pain, education. The booklet is called Chat 2 Parents Jointz.